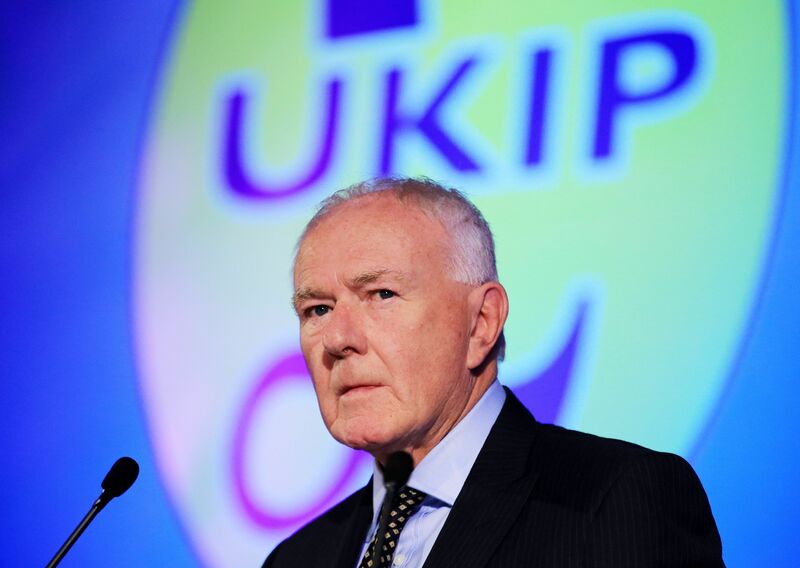 Ukip's former leader in Northern Ireland has said he would break the law to pull down an Irish language sign if one was erected on his street. David McNarry, a one-time senior member of the Ulster Unionist Party, compared his potential unlawful activity to the suffragette movement. The former Assembly member was commenting on the prospect of an Irish Language Act featuring in any deal between Sinn Fein and the Democratic Unionists to restore powersharing in Northern Ireland. Mr McNarry said, if such legislation resulted in Irish language signs being placed on the Co Down street where he lives, he would haul it down. He told BBC Radio Ulster's Nolan Show that erecting gaelic signs in unionist areas would be "offensive and disrespectful" to his culture. "What I am actually advocating is unionism taking a stand now, saying that 'look, enough is enough'," he said. "We don't need Irish language signs at the bottom of my road. I know the name of my road, I know where I am going when I go up it." He added: "I would take the sign down. It wouldn't be lawful and I think that is the notice that has to go out because there will be resentment to this and there will be people who will feel as I do, don't want to break laws, never been in trouble in their lives before but actually want to take a stand." Mr McNarry said such signage would be about changing the culture of Northern Ireland from a "British dimension to a covert Irish dimension". The main sticking point preventing the restoration of devolved government in Northern Ireland is the Irish language. Sinn Fein wants a standalone piece of legislation to protect speakers, an Irish Language Act, but the DUP has long insisted it would only countenance new laws if they also incorporate other cultures, such as Ulster Scots. 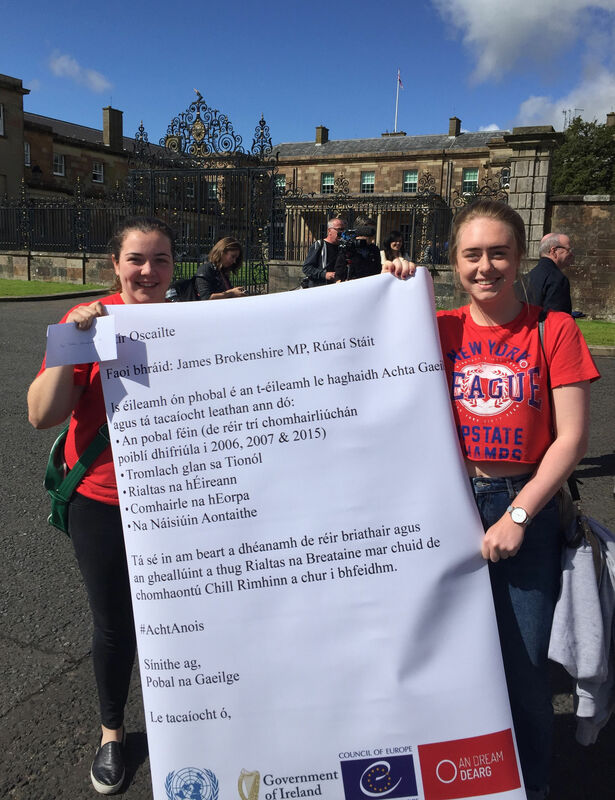 There was speculation over the weekend that three pieces of legislation, an Irish Language Act, an Ulster Scots Act and a broader Culture Act, could be a means to satisfy both sides. However, speculation has been growing that a deal between Sinn Fein and the DUP is imminent. The Prime Minister and Taoiseach travelled to Stormont on Monday to encourage the region's parties to finally end the impasse. Theresa May urged them to make "one final push" to strike a deal to salvage powersharing.